The Nikon D850 is a 4K DSLR. It is full frame and does not crop the sensor, even when shooting 4K. It shoots 120 fps in HD and has a recording time of 30 minutes. Its full frame, even when shooting 4K. The camera includes mic and headphone inputs. The Nikon D850 has a tilt-able screen, but it does not have focus assist or zebras in 4K. So while the camera is not perfect for shooting video, it does an excellent job with stills. It has a mirror with a mirror up function to avoid vibration just for shooting stills. The body is primarily made magnesium alloy. It feels solid and has the weight you expect at this price. 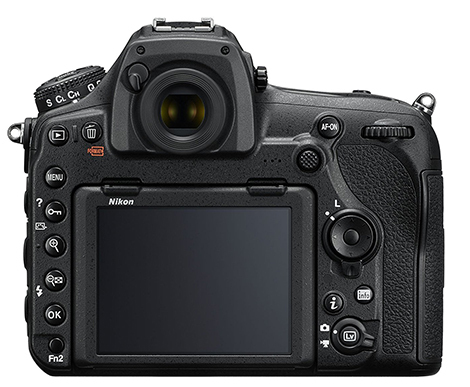 The grip is comfortable and a better design than previous Nikons in this series. The controls are well laid out. However the function buttons are limited in usefulness. Don’t expect to view the 3.2 inch LCD screen in the sun. You’ll definitely want an external monitor or something like a Zacuto Z-Finder. But the optical viewfinder is large and easy to use even for shooters who wear glasses. They removed the built-in flash which provides more room for a new and more powerful viewfinder. The magnification is .075x, the largest optical viewfinder on any Nikon DSLR. The sensor is a CMOS, 35.9 x 23.9 mm. The bit rate is a hair under 150 megabits per second (Mbps) at 4K. The camera can accept a 128GB card and with this you can shoot video all day before having to stop and download your footage. The D850 can simultaneously output uncompressed 4:2:2 8-bit UHD to an external recorder while also recording to the SD card. But focusing with this camera leaves a lot to be desired. Touching the screen for a quick focus is not fast or accurate. So an external monitor with focus peaking is pretty essential. The D850 does not have a Log profile. A log is a way to record footage in a specific way, so that you can apply a corresponding LUT (Look Up Table) in post. That’s an over simplification, but we’ll address this topic next week. The Nikon D850 has what is called a flat profile and that often requires work to get the colors just right. The camera does not have an anti-aliasing filter which may capture sharper images but with the occasionally jaggy edges, not very different from most DSLRs. Noise becomes noticeable at about ISO 1,600 but is usable to 6,400. It’s not bad and is at least uniform. It starts to go downhill when you reach about ISO 12,800. Photography is where the Nikon D850 shines thanks to its 46 megapixel sensor. The auto focus for stills is exceptional as long as you avoid live-view. Use the optical viewfinder and you can shoot quickly and still maintain focus. For the hybrid shooter who does a lot of professional still work and still needs video, the Nikon D850 could be a good choice as would the Canon 5D Mark IV. If you are primarily shooting video, the Panasonic GH5 is comparable and a thousand dollars cheaper. The intervalometer can capture time lapse sequences without any external accessories. The camera can assemble the images as a 4K video or you can save the full resolution files and create a full resolution time-lapse in third-party software. Nikon calls this “8K Timelapse,” because the images exceed the 7680 × 4320 dimension of that video format. The intervalometer lets you specify the number of shots and the delay between them but now adds the ability to create a new folder and reset the file numbering for each time lapse sequence. The files can easily be isolated and transferred to 3rd-party software. The Nikon D850 is a good choice for hybrid shooters, but the video side of it is lacking for those who primarily shoot video. 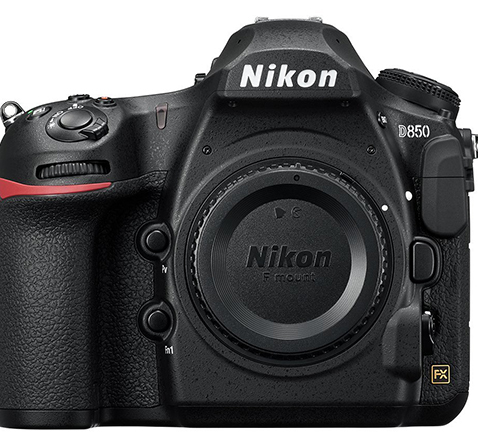 The Nikon D850 is available on Amazon for $3,296.95 body only.